The art of giving freelance clients the right message at the right time, to ensure you have the maximum chance of getting the gig. If women are from Venus and men are from Mars, where the hell did ‘The client’ come from? From strange silences to broken promises; mis-steps to breakdowns it can be a minefield. In this post I wanted to open up a fundamental area for you to understand and action; how to communicate effectively with clients who are at different levels of understanding and sophistication to you. 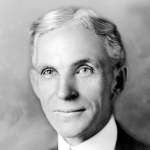 There’s a great quote attributed to Henry Ford which goes something like this. Think back to recent conversations you’ve had with clients. You’ll have those who are certain of their pain, are well-researched and have pretty much diagnosed the solution before getting to you. The other end of the spectrum are those who feel the same pain but who are either early on in their information gathering or who need convincing that your service is anything to do what that pain. Aiming your wordage (on your website, in your marketing, in your proposal and pitch) at both of those ‘worldviews’ at the same time is a mistake and will result in no one party really connecting with what you have to say. The more sophisticated client might feel you’re dumbing it down, the beginner may drown in buzzwords and jargon. So what do clients really want? As with the Henry Ford example they’ll certainly not be able to clearly tell you themselves, so how do we find it out and give it to them without asking? Note: This is a key trait of successful freelancers; and forms a key part of Freelancelift Pro video modules and is built into a complete workbook with scripts and templates. In this post we’ll lay it out, to ensure you can strike a balance in everything you do and say to maximize your chances of getting the gig. One thing it’s vital to understand is that although all clients are different – with distinct experience and opinions – they share one common denominator… P-a-i-n. Put simply, pain comes before any action. You’re not being chosen because you can design, write, market, code… You’re being hired because the client has a business problem (or pain). Your service (in their mind and yours) should be the solution to that problem. Taking an example of a doctor’s surgery. Do you enter the room knowing you need Ethopeptin ABC2000 or do you explain your symptoms first, for this (totally made up) remedy to be prescribed later? Staying with that analogy, who would you trust more? Listens to your symptoms and it’s triggers, explains what is likely happening in a language you can understand, walks you from this pain to explaining the benefit of the solution with a only a passing mention of the chemical compounds. Makes assumptions as to your issue, goes heavy on the technical aspects and heads straight for the cabinet offering you a choice between prescription remedies you know nothing about. My guess is you’re trusting the former. Businesses have pain receptors, too. In most cases, it is this pain that creates the environment for research and action. Indeed, a nagging pain is generally a signal that something deeper is wrong. The mistake most freelancers make is to ignore the fact that opportunities to make a sale and win a client are only made possible by a business pain. So with that said, how do your clients go to market for your service and how can you ensure you understand (at any point) what they’re really hoping to see and hear? This is the starting point. Something isn’t achieved, a goal is not met and it hurts. It may be something critical to their livelihood, it may be a fairly minor pain but in any case it’s felt. At this stage the client will take it upon themselves to try and understand what just happened. During this process – and depending on the voices they listen to – the client will either be well prepared for figuring out the solution or be more confused. In either case, a client makes the decision that something has to change, that there is a need fix the pain they’ve just experienced, and one way or another they determine that they probably need a designer, or writer, or translator, or coder. The single biggest mistake I see is freelancers positioning their entire message around the action phase, forgetting that there has been a journey of pain and subsequent research. Here’s the thing; when your wordage (on your website, in your marketing, in your proposal and pitch) focuses on clearly explaining the pain and a logical solution you begin to resonate clients at any end of the spectrum. The objective of the Pro Modules on this topic are to understand what clients want, so that you can reposition your message to give it to them. If a client lands with your site, sees your marketing or receives a proposal and is immediately hit with a vague headline, buzzwords and descriptions of the software you’re great at using (which they’ve never heard of), it’s a fundamentally different experience to the one they’ll get if you meet them in a coffee shop. In that informal setting, you’d cater your language to suit their experience level and simplify your message so that it resonated with them and their issues. What drives them to do what they do, what do they care about? What positive qualities do they carry and how is their pain stopping them from exhibiting that? How clear is their vision? Do they need to borrow from your imagination & expertise? What is their financial outlook, is this a big outlay for them? In real terms, what do they expect working with you to deliver? By answering these five simple questions, you can begin to build a picture of who the client really is, and what their sensitivities really are. In Module 8 of Freelancelift Pro we have video lessons on building rapport with clients and maximizing desire and the video lessons follow the ‘Subconscious Checklist’ among other resources; what follows is a summarised version of that for you to measure yourself up against and finally understand ‘what clients really want’.